Despite being a part of the European Union, having the Euro as its official currency, and having a prosperous economy, the cost of living in Slovenia is surprisingly average compared to other European nations. In 2011, Mercer ranked Slovenia at 140th out of 214 cities around the world when it comes to the cost of living for expatriates. The real estate market of Slovenia is currently in a depressive condition, and it is projected to remain in that state for the rest of the year. This is due to the ongoing recession in Europe which has greatly afflicted the economy of Slovenia. House prices in the country continue to fall, and construction activity remains down. In spite of the different measures taken by the government to encourage foreign investment in the country, the demand for property in Slovenia remains stagnant. Aside from the economic crisis, factors such as high rate of unemployment and stumbling domestic consumption also affect the property market of Slovenia. Generally, foreign nationals can buy property in Slovenia only if their home country has a reciprocity agreement with Slovenia. This means that if a Slovene national can purchase real estate in the home country of the foreign national, then the foreigner can also buy property in Slovenia. Other factors allowing a foreigner to buy real estate in Slovenia include the following: if they have a business registered in Slovenia; acquire property through inheritance provided that the reciprocity is in place, and acquire Slovenian citizenship through marriage. 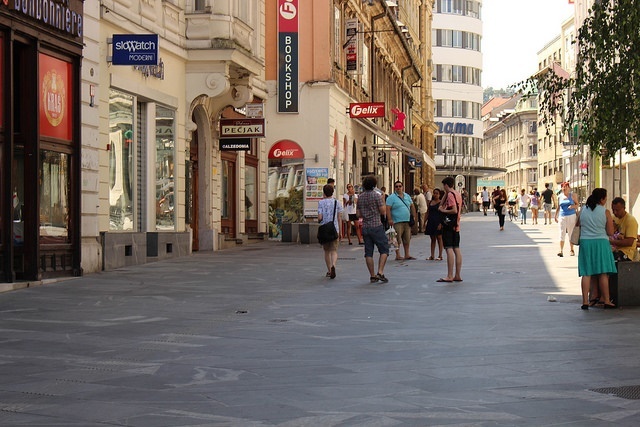 Current prices of property in Slovenia range from €2,000 to €3,000 per square meter for an apartment in the Slovenian city centre, while an apartment outside the city costs about €1,500 to €2,000 per square meter. Foreigners looking for a rental apartment in Slovenia will find that the country has a wide array of options – from a bed in a shared room to fully furnished accommodations or houses. It is advisable to hire a reputable real estate agent especially if one does not have sufficient knowledge of the Slovene language. Several landlords do not know how to speak English, so it may add to the difficulty of negotiating a deal and finding an apartment that suits one’s needs. Since Slovenia is just a small country, most of the expat community stay in the capital city, Ljubljana. Prices for rental accommodation in Slovenia range from €380 to €500 a month for a one-bedroom apartment in the city centre, while a three-bedroom apartment can cost from €600 to €1,000 a month. On the other hand, a one-bedroom apartment outside the city costs about €250 to €350 a month, and a three-bedroom apartment cost about €500 to €750 per month. Fees for utilities in Slovenia range from €157 to €283 per month for an 85m2 apartment. These include water, heating, garbage and electricity. Internet rates for a connection with 8MB cost about €29 a month. One-minute local calls using a prepaid mobile phone costs about €0.10. Food prices in Slovenia are about average in Europe, much cheaper than major cities such as London and Paris, but about the same as bordering countries in the region such as Croatia, Hungary, and Austria. Gasoline prices in Slovenia range from €1.47 to €1.55 for one litre. The price of a one-way ticket for local transports, such as buses and trains, costs €1.20, while a regular monthly pass costs €37. Taxi fares start at €1, with an additional €1 for every kilometre ride. Those who want to buy a Volkswagen Golf 1.4 KW Trendline or any equivalent car will have to pay around €16,000 to €19,000. Slovenia’s income tax rates for the working population are based on a progressive scale, which starts at 16% and can be levied as much as 50%. For tax purposes, an individual is considered a resident in Slovenia if they stayed in the country for more than 183 days in a tax year. Meanwhile, non-residents are only liable to pay income tax on their Slovenia-source income. Slovenia also imposes taxes such as inheritance and gift tax, and property tax which is also levied at progressive rates. Motor vehicle tax is levied from 0.5% to 28% for petrol cars and from 1% to 31% for diesel cars. Transfer tax for an immovable property in the country is levied at 2%. Value-added tax (VAT) for goods and services in Slovenia is set at 20%.